Do you want the ultimate success program? One-on-one and semi-private training allows for individual attention, with a tailored program and accountability. We dig deep: you tell me your goals, along with your priorities and non-negotiables, then we collaborate and execute a foolproof plan to get you there in the most effective and rewarding way. Oh, and it’s going to be fun and enjoyable — because if it isn’t, what’s the point? I believe that movement should be you-time where your spirits get lifted while you strengthen and tone your body. 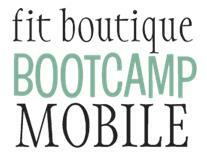 Are you looking for a catered bootcamp that is based around you and yours friends at your preferred time and location (e.g. in your home, backyard, nearby park, etc.)? Grab a few friends and I’ll take you through a fun, dynamic and effective exercise class that you will look forward to while socializing with your workout buddies. 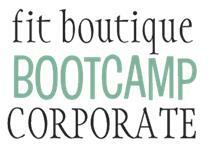 Fit Boutique Bootcamp Corporate will come to your worksite and give your employees an enjoyable, invigorating and empowering 30-45 minute workout. Team-building workouts are fun and challenging, encompassing camaraderie and increasing employee morale. Participants will be left smiling and energized!